Two cattle trails converged in Lockhart, one heading north from Lockhart and another through the northwest corner of the county. The second week in June, Lockhart celebrates its place on the Chisholm Trail with our annual Roundup. CTR is Lockhart's largest annual festival and tourism event, now celebrating its 47th year. Festivities begin on Wednesday, June 12, with a Cowboy Breakfast around a Chuck Wagon on the Courthouse square. 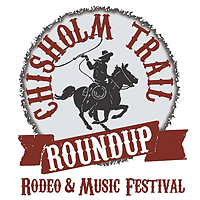 We encourage the community to dress western on this day to celebrate the heritage of the Chisholm Trail. The entire family can enjoy activities all three days including a petting zoo, an old west gun fighter show, demonstrations from Texas Parks and Wildlife, a new Air Conditioned Exhibit Hall with a quilt show, baking competitions and more. As always, CTR will host the rodeo, BBQ Cook Off, Grand Parade, the CTR Queen’s Coronation, and live entertainment. Here is the link to the CTR Visitors Guide.